77 mins. Rated PG for some scary images and action, and brief mild language. Well, I wanted to find a horror film for today that I hadn’t seen a long time. I picked Corpse Bride because it has a cult following and yet it just didn’t do it for me when I had originally seen it.. Why? I just don’t know, but I wanted to investigate, dig up the past, and see if my opinions changed. 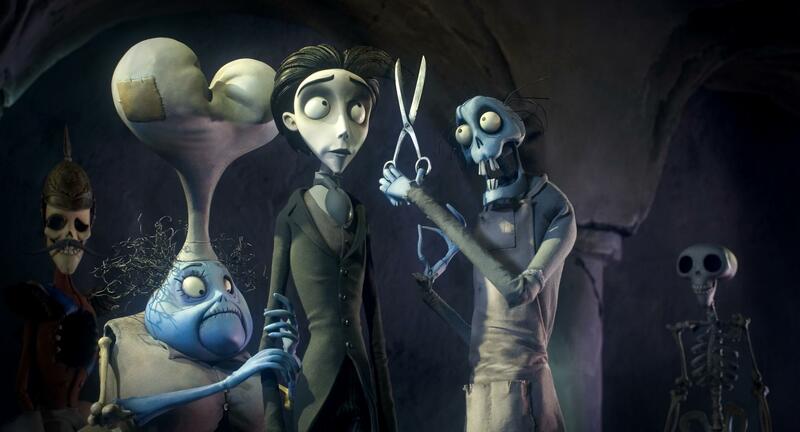 Corpse Bride revolves around a wedding between Victor Van Dort (Johnny Depp, Edward Scissorhands, Sweeney Todd: The Demon Barber of Fleet Street) and his fiancé Victoria Everglot (Emily Watson, Breaking the Waves, War Horse). 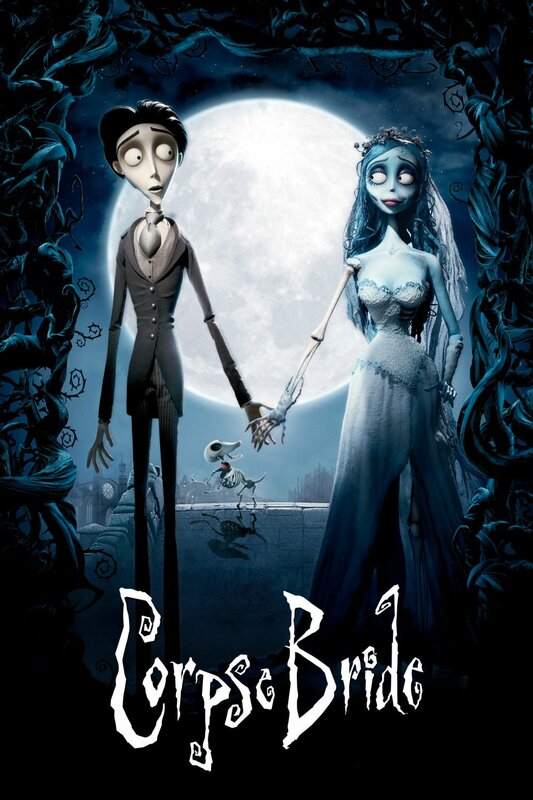 But when Victor suffers from his nerves at the rehearsal dinner, he finds that he desperately needs to memorize his vows, and through a mistake while wandering in the dark, he awakens the Corpse Bride (Helena Bonham Carter, The King’s Speech, Fight Club) and accidentally marries her. As confusion leads to confusion, Victor must correct his mistakes before Victoria marries the wrong man or he ends up dead. 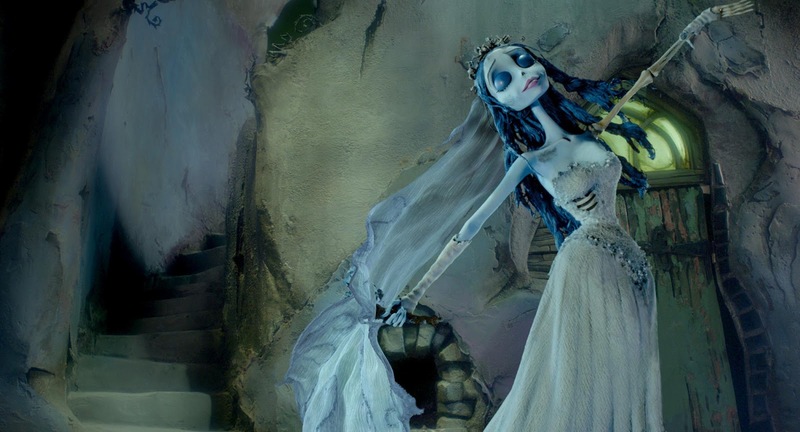 Corpse Bride is a disappointment still. Not nearly as memorable as the far superior The Nightmare Before Christmas or Frankenweenie, it has the distinction of being practically forgetting immediately upon finishing the movie. Seriously, I just finished it and I cannot for the life of me remember a single song. Just nothingness. The voice work is passable, and the real beauty of the film is in its visuals, but as I said before, it just doesn’t impress me as a viewer. It reminds me of better films. I believe that Tim Burton, at this stage of his career, had not yet mastered the stop-motion medium. You have to remember, he didn’t actually direct The Nightmare Before Christmas. It was until the flat-out surprise of Frankenweenie that Tim Burton really showed his abilities. He should’ve crafted an interesting story and then taken a step back to allow a more skilled animation director to take over. Corpse Bride suffered immensely because of this error. For my review of Tim Burton’s Batman, click here.